Until recently, “Fifi” was the world’s only airworthy B-29 Superfortress. Operated by the Commemorative Air Force, this mighty bomber has now been joined in the skies by “Doc”, which flew again in 2016. 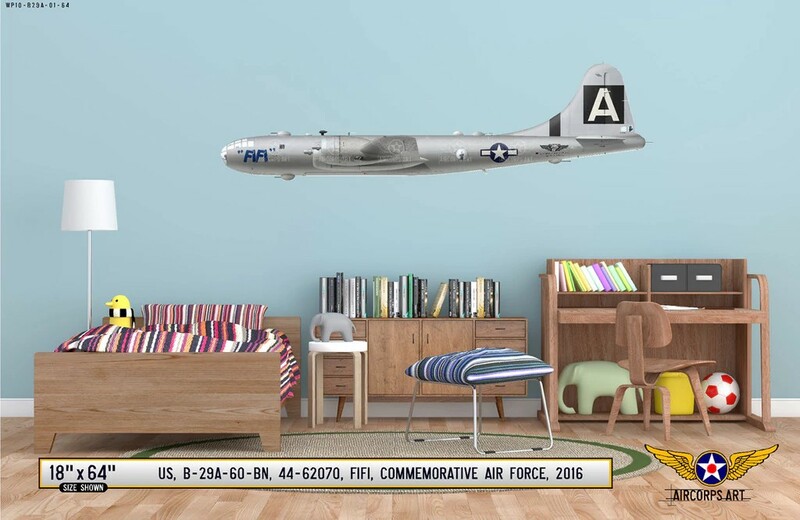 If you like the Superfortress, you will love AirCorps Art’s vinyl poster of “Fifi”, which is available in several sizes ranging from 7″ x 24″ to 20″ x 64″. I guarantee it will make quite an impression !